great 4k for a "one-night-coding"
Nice 4k fast prod, us for Yago! thx for the nice comments! next year i'll bring more tobacco, promised! Love the effects, a pretty 4k. One effect, quite nice. 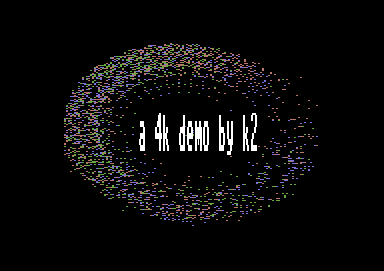 Why am I feeling that I have seen the same effect/style in any previous K2 demo though? page created in 0.014514 seconds with 15 queries.